As a Realtor, I felt tied down and worn out. As much as I enjoyed guiding people through the home buying and selling processes, I yearned for something different. I wanted to travel, see the world, and work from home. Real estate had changed over the course of my career, and it was more challenging than ever to bring in the income that I wanted. 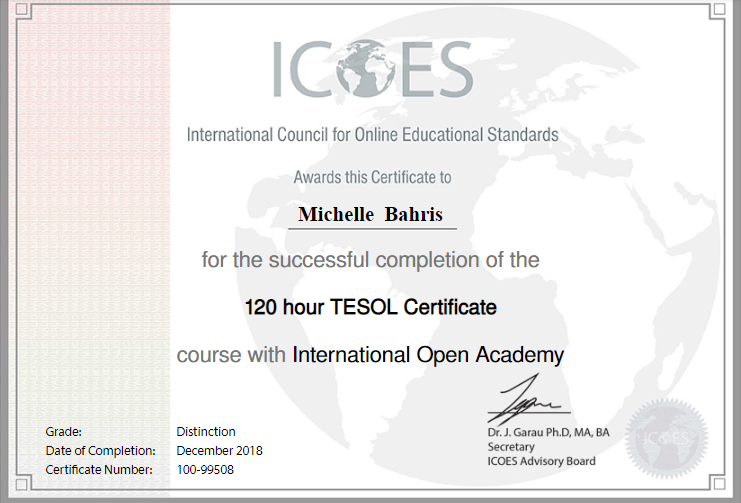 I decided to make a shift – Teaching English online! 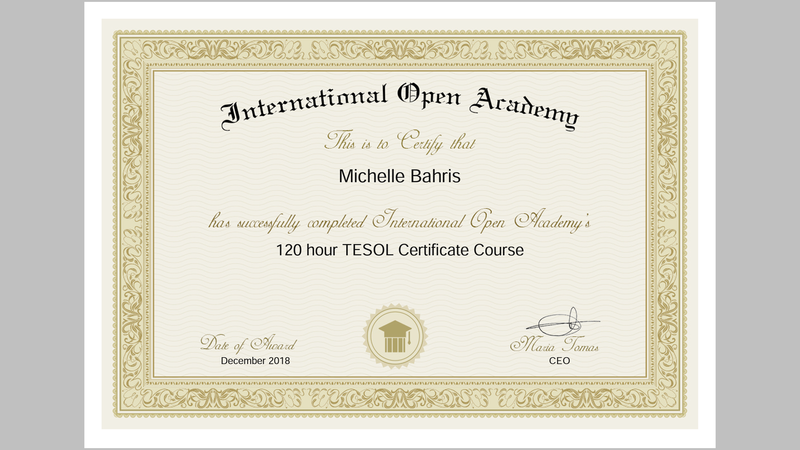 A TESOL certified ESL teacher, I have accrued more than five years of experience and spent more than 200 hours in TESOL courses. 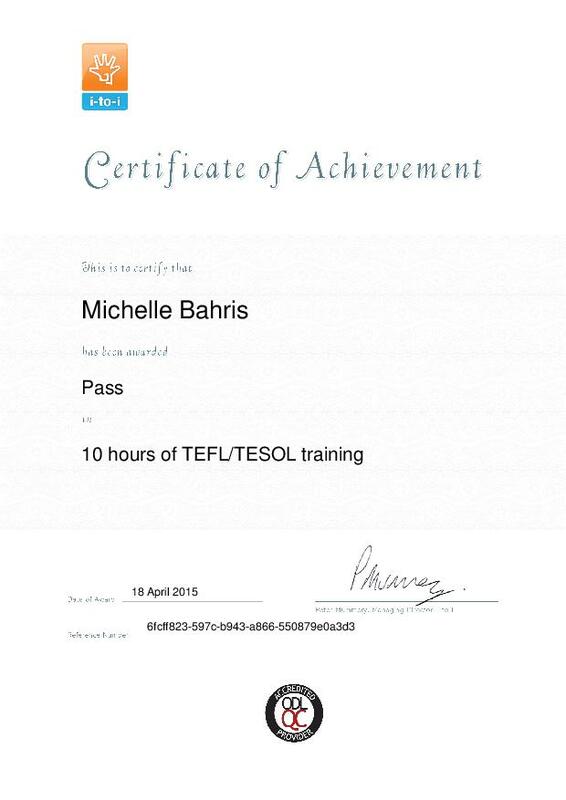 I am experienced teaching all the skills that you need to thrive in the world, including Business English, Conversational English, IELTS, Accent Reduction, and Childhood Education. Originally from San Francisco, I have lived in Mexico, Europe, and Asia, and I am conversational in Italian and working to achieve fluency in Albanian. My passion for education connects right back to how deeply I care for my students. I connect well with others because I take an active interest in their success. Hailing from all over the world, my students all have fascinating backgrounds and incredible stories to tell. It is my duty and pleasure to help them to communicate their background and relate their stories in English that is clear! Interacting with students never gets old for me, and when I hear about them using English successfully at home or at work, I feel a deep sense of accomplishment. Typically, the students that I take on range in ability from intermediate to advanced, though I do also work with beginners. My specialties are Accent Reduction, Business English, Interview and Job coaching. To students who feel shy to learn, I give direction to help them feel comfortable. To students who are already outgoing and confident, I establish winning habits. I have taught English to professionals in many industries: sales, engineering, IT, hospitality, style, and design. One of my techniques is to use role-playing to build on small talk and idiomatic speech. I have something to teach every student of English! My favorite pastimes are traveling, walking along the beach and staying fit. I enjoy playing softball, volleyball, and swimming in the ocean. 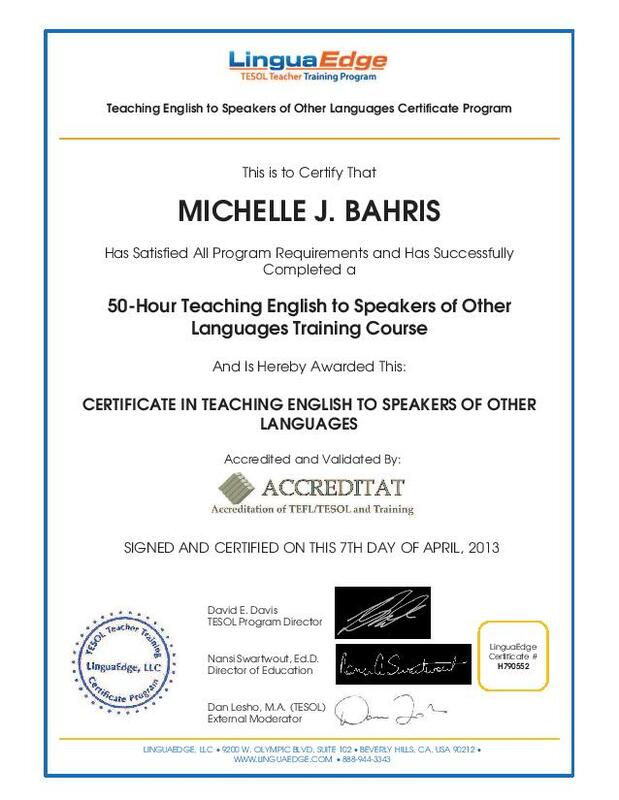 Jett Bahris --American English Coach for esl learners. What or who inspired me to teach? I have been coaching people for many years helping them to learn how to make wise decisions in their lives. People who have lost jobs, have had family problems or even living on the streets. I have a love of my work because I have a love of people. Well, I moved to Mexico and with the move I have seen how desperately people need to learn English and to learn it well either for business, their jobs or personal. Living in Mexico has really helped me to see how global English really is. 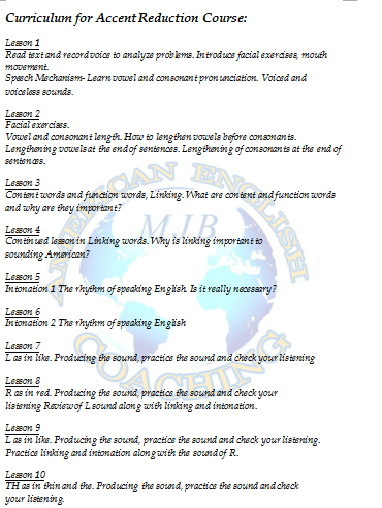 People have a strong desire to learn, practice and improve so as to fit in the English speaking world. Love most about my job? I love my students. My students come from all around the world. I love interacting with my students. I love learning about different cultures and personalities. When they are successful using English either at home or work, it makes me feel that I have accomplished my job. Especially, when they get a new job because of their English, wow, I’m on cloud 9! Types of students worked with? I tend to work with students who are from Intermediate to Advanced. 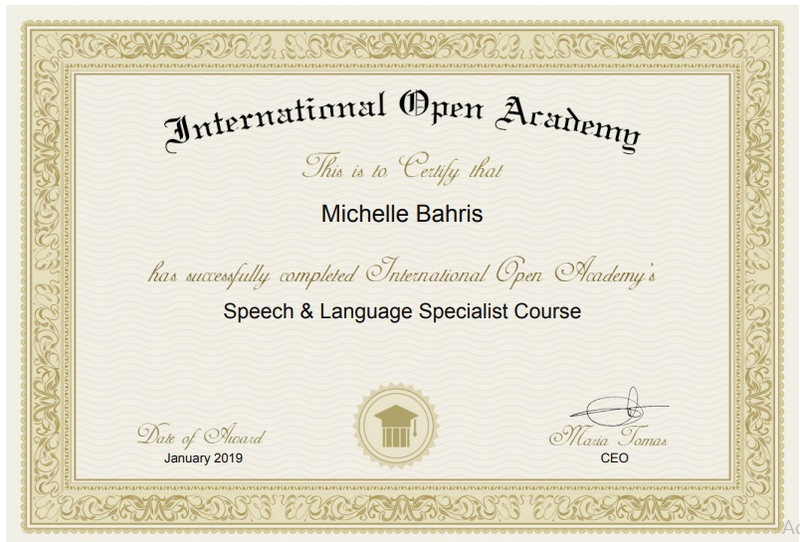 Although I do work with students who are learning everyday English, I specialize in Accent Reduction and Business English along with interviewing techniques for those wanting to either climb the corporate ladder or get another job. Some students are young and ready to learn and have outgoing personalities. Others are older and want to learn yet they are afraid. If you are young, have goals with a schedule and reach them. Without goals, you have no direction. If you are older and are afraid, search for a tender-hearted and patient teacher with some years of teaching older students. They will understand and know how to help you in a soft and delicate way. I was trying to find a good English tutor for many weeks and suddenly I met Jett. First, I was afraid because I've never had lessons with a native speaker before. It was easy and funny to speak with Jett, I continued with my lessons. I really enjoyed learning from her. She is well-educated, broad-minded, excellent company to speak with and at the same time good-listener, stimulating your ability to speak. Besides, I certainly entrust to her English education of my children, because it will be very beneficial for them. My foreign colleagues who had heard my English 4 months ago, now tell me that I got much, much better in English. I can say that Jett is an excellent teacher. She all the time encourages you to keep learning and do not give up. She really helps you to be a responsible student. I admire her. Jett is the best teacher I've ever had. She's not only highly organized and professional, but also she has exceptional personality traits that are very dear to me, - she's empathetic, kind, creative and humorous, she's a good and charming person and she's the person who really does care. Every lesson is unique, warm, funny and of course useful, making your English communicative skills step by step visibly closer to what you dream of. I have been studying English for a long time and I have a rich experience with many different teachers of English language in various language schools. With full responsibility I declare that Jett is the best teacher of all the people I had learned. It’s hard to find more outgoing and patient person than her. Jett is always ready to help, to find an accessible way to explain the rules and to apply it in practice immediately for the better memorization. Classes always contain a lot of interesting information that will not only enrich your vocabulary but to make your horizons broaden. I feel as if talking to my good friend. I'm not the most diligent student Sometimes I have to transfer the lessons because of the tough schedule of my work and I can’t line up a permanent training schedule but Jett's flexibility allows me to continue to learn English successfully. Her friendly attitude towards to English learners with accent. She works with us to reduce the accent significantly , teaching us how to pronounce the words in the American way. On top of that, he is very patient and has a good teaching method. Definitely, she is the right English teacher for any person at any English level. Don't hesitate to hire her, she is the best choice.